JEOL is a peer-reviewed journal on the history, culture, languages, and archaeology of the Ancient Near East. 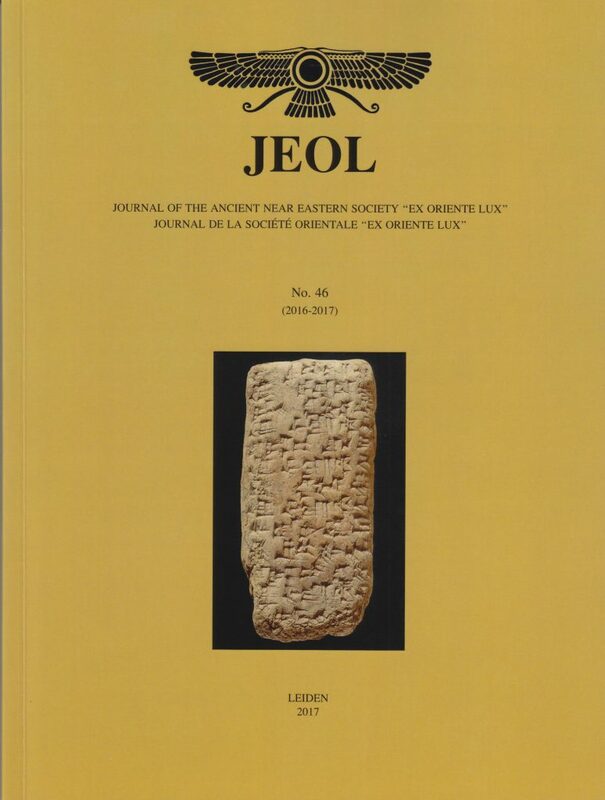 It is published by the Dutch Ancient Near Eastern Society “Ex Oriente Lux” in collaboration with the Netherlands Institute for the Near East (NINO). Editorial Team: J.G. Dercksen (editor-in-chief), K. van Bekkum (Levant), B.J.J. Haring (Egyptology), K.R. Veenhof (Assyriology), and W.J.I. Waal (Anatolia). Manuscripts must be submitted digitally in Word and in PDF. Articles for JEOL are double-blind peer-reviewed, so ensure that all files are anonymized. Put your name and email address on a separate page and not on the first page of the article. Articles may be written in English, French or German. The author should have the text checked by a native speaker before submission. The maximum length of the manuscript is 10,000 words, excluding the bibliography. Please indicate whether a specialized font is used. The text must be double-spaced. Titles of books and journals must be italicized. For footnotes, Smith 2015: 17, and then full details in bibliography. For the first mention in a footnote, full details, to be repeated in the bibliography; for subsequent footnotes an abbreviated title, to include author and Keyword. 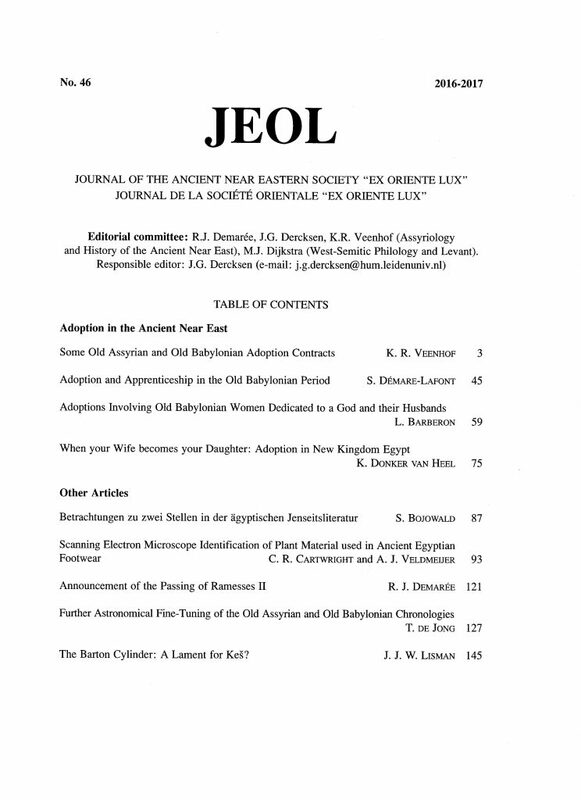 Please use standard abbreviations for periodicals and other publications as listed in Lexikon der Ägyptologie; Chicago Assyrian Dictionary; Reallexikon der Assyriologie und Vorderasiatischen Archäologie; and Schwertner, Internationales Abkürzungsverzeichnis für Theologie und Grenzgebiete (=IATG3 or later). List other abbreviations at the beginning of the bibliography.